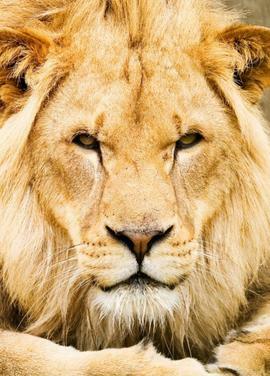 I am only 5’2″ tall, but in my heart, I am a lion ~ a lion who roars mightily but only occasionally aloud. For you see, I identify with the mightiness of the lion and being a March baby, it’s understandable. You know the adage, “March comes in like a lion and out like a lamb.” Well, today’s forecast for snow on my birthday, allows my inner lion to raise her soft-maned face to the skies and be thankful, with a roar that rattles the windows for even nature is getting in on my celebration! Because it’s my birthday ~ one of the most special days of the year for me. I’m not pompous, thinking that all should bow down to me on my day. Instead it is I, who bends her lioness head in gratitude for all of the blessings both big and small and the coincidences which albeit tiny, matter magnificently. For you see, there have been times when I wondered in my soul, if I would make it through to the following year’s birthday and thus the magnitude of being here to greet this day every year, has forged a path for me. When I turned 40, I don’t think there was a person alive who didn’t know it. Unlike many of my friends, I didn’t keep turning 40 a secret, I shouted from the rooftops that it was my birthday because I was so happy that I’d made it! Now, my world-wide birthday happiness is just because I am so grateful for each and everyday ~ So blessed that I am here to feel the love that surrounds me, to count each and every blessing which has been gifted to me, to enjoy The Presents of Presence in every moment of the days of my life. So please indulge me in my day ~ I believe that we should see the specialness in everyday and celebrate our lives in the same manner that we treat birthdays! To honor the unique celebrity that is you ~ please join me in my birthday celebration today! Be a part of Celebrate Our Blessings Day with me! Roar Aloud in Gratitude and Shine On!